Multi-billionaire hedge fund manager Ray Dalio is hitting the airwaves declaring that capitalism needs to be "reformed" and that taxes should be raised on the rich. I have stated this before but it needs stating once again. Just because Michael Jordan could jump high on the basketball court, it doesn't mean you should rely on him for knee surgery. Just because a person is rich, it doesn't mean you should rely on him for economic policy advice. In other words, just because Dalio has made a lot of money trading, it doesn't mean he understands the fundamentals of economics. Indeed, during two recent television appearances, he made apparent he doesn't understand economic fundamentals. On both the CBS show "60 Minutes" and on CNBC, he declared there is a problem of equal opportunity in America today without explaining how this had anything to do with capitalism. This despite impressive intense questioning on the point by CNBC's Joe Kernen. Kernen also pointed out that Dalio's "solutions" had nothing to do with capitalism but with attempts to fix the public sector, in particular, public schools. It just never seemed to register with Dalio that public schools are a government product and have nothing to do with free markets. The CNBC hosts overall were superb even beyond Kernen. Sara Eisen was great and Andrew Ross Sorkin nailed Dalio on the point that his firm took a $20 million tax subsidy at the same time he is calling for the rich to pay more in taxes. Then in a brilliant stroke, Sorkin asked Dalio if he thought his personal foundation should have its tax exemption removed and be taxed since he is calling for higher taxes which means funds aren't directed by the individuals who pay the taxes but go to government. It was epic, viewers got to see Dalio dance without accompanying music. Having completely failed against the CNBC team, Dalio continued to resort to the claim that the current problem in America is an "engineering question" and that he is offering an engineering solution. But this is what Nobel prize-winning economist Friedrich Hayek warned about throughout his career, that society cannot be engineered. Indeed, he wrote a book called The Fatal Conceit in which he identified those who held the view that society can be engineered as having the fatal conceit. 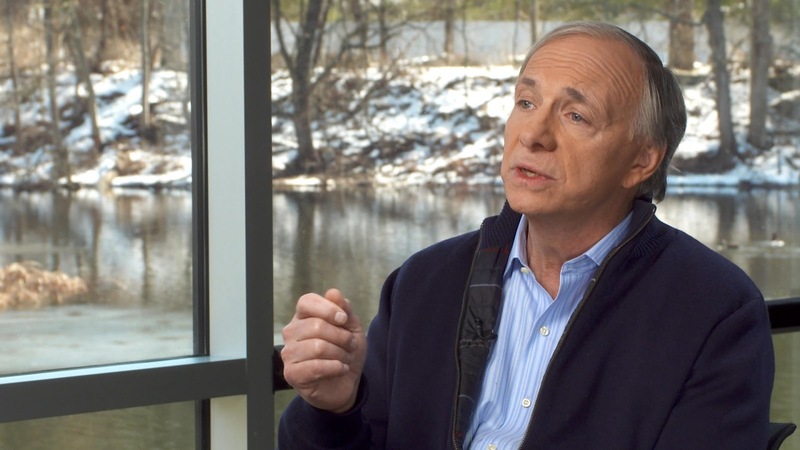 Dalio has the fatal conceit on steroids. He is clearly not well read or a deep thinker on the government policies he wants to impose on all of us and because of that his views were putty in the hands of the CNBC anchors.